Bitcoin and cryptocurrencies have struggled to overcome people’s fears that buying them will leave them vulnerable to hackers and digital thieves, with a steady stream of complaints against bitcoin exchanges and wallet providers over the years. The bitcoin price’s rapid rise from hundreds of dollars per bitcoin to a single bitcoin being worth almost $20,000 in 2017 sparked a surge of criminal interest in bitcoin and cryptocurrencies, who were quick to try to separate trusting crypto holders from their bitcoin. Now, an Android app hosted on the official Google Play store has been pulled after it was found to be surreptitiously stealing bitcoin and cryptocurrency from unwitting users, researchers revealed late last week—thought to be the first time this kind of malware has been hosted on the official Android app store. 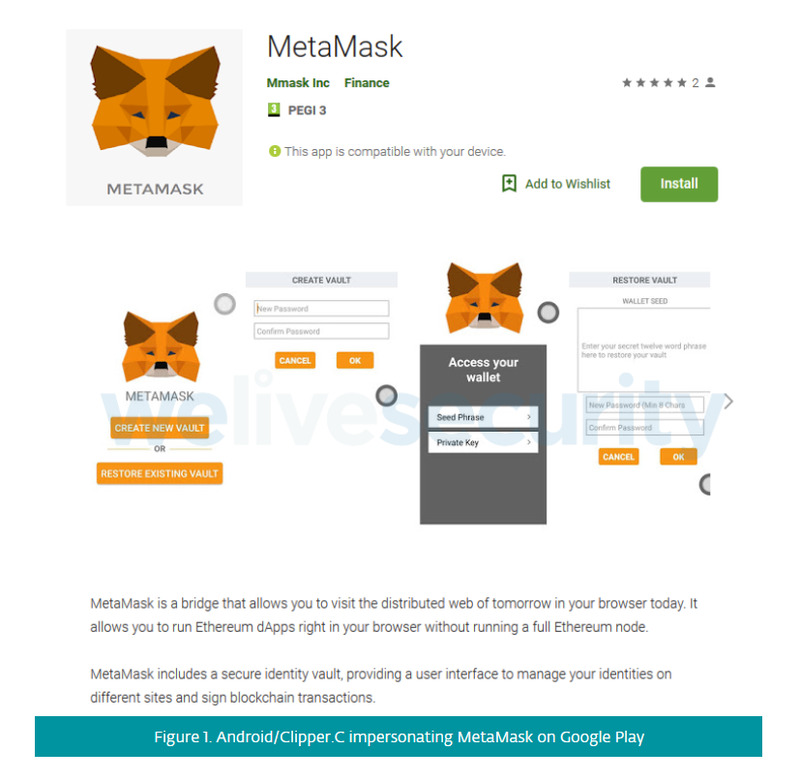 The app, which was found to be impersonating a legitimate crypto service called MetaMask, hijacked a phone’s clipboard feature when people copy and paste their bitcoin or cryptocurrency address, either sending the account’s so-called private keys back to the criminals or replacing the public key with an address controlled by the hacker. When the phone user then tried to send their digital tokens to the copied address, they would paste the attackers’ instead. Bitcoin and cryptocurrency addresses are often regenerated each time a user opens their app as a security feature, though doing so means people are less likely to recognize a fraudulent address. The MetaMask app, designed by ethereum developer Consensys, is popular among the bitcoin and cryptocurrency community—having been downloaded for Chrome and Firefox via the Google Play store over one million times—and allows users to access a variety of decentralized apps on the ethereum network. It is not currently available for mobile devices. Security researchers have previously found bitcoin and cryptocurrency stealing software on download.cnet.com, one of the world’s most popular software-hosting sites, and also on unofficial Android app stores. 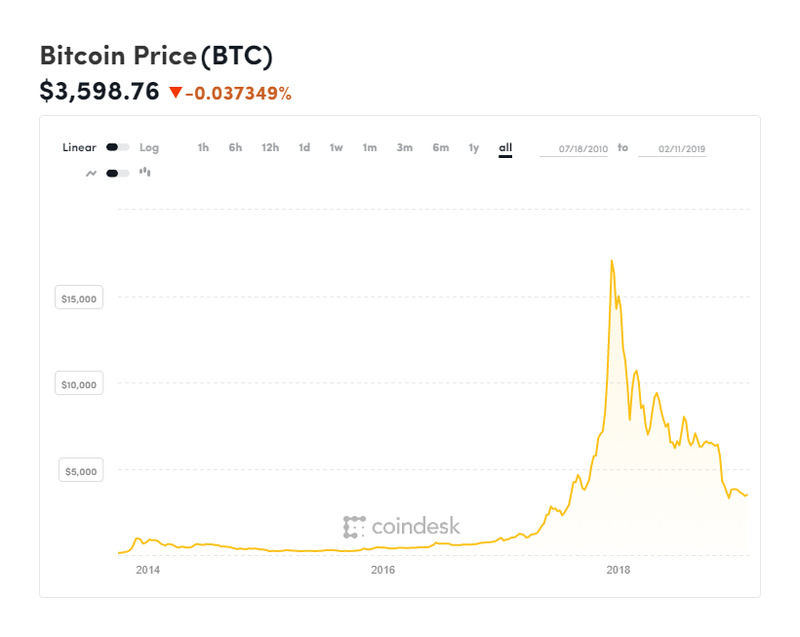 While the bitcoin price has struggled over the last year, falling steadily since hitting its all-time high in December 2017 and dragging down the wider cryptocurrency market, scandals, thefts, and scams continue to plague the industry. There are calls to better regulate the burgeoning cryptocurrency sector, however many fear that heavy-handed regulation could remove much of what makes cryptocurrency attractive to users and developers.